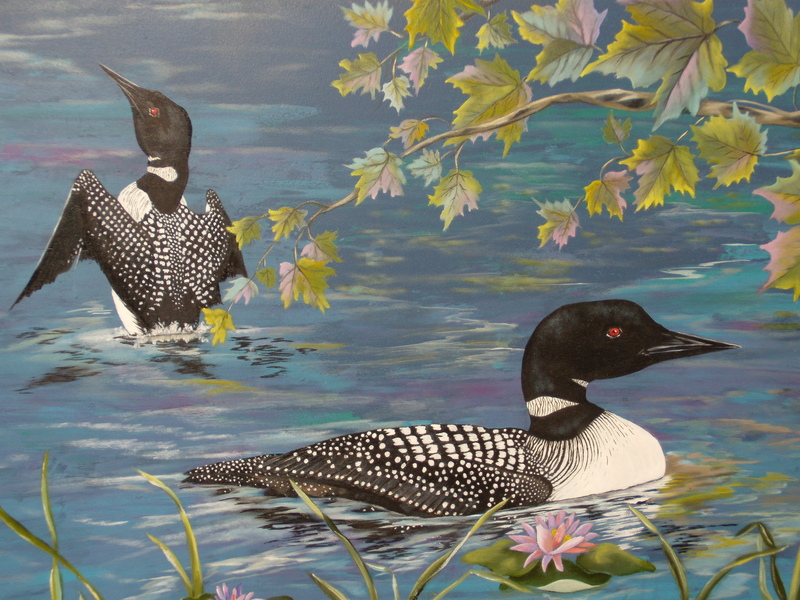 At Tranquil Bay Art Studio in Oconto, Wisconsin, artist Pat Williams specializes in “Painting Nature….one brush stroke at a time.” Pat enjoys her studio in the woods which allows her to spend many hours observing the wildlife right in her backyard. 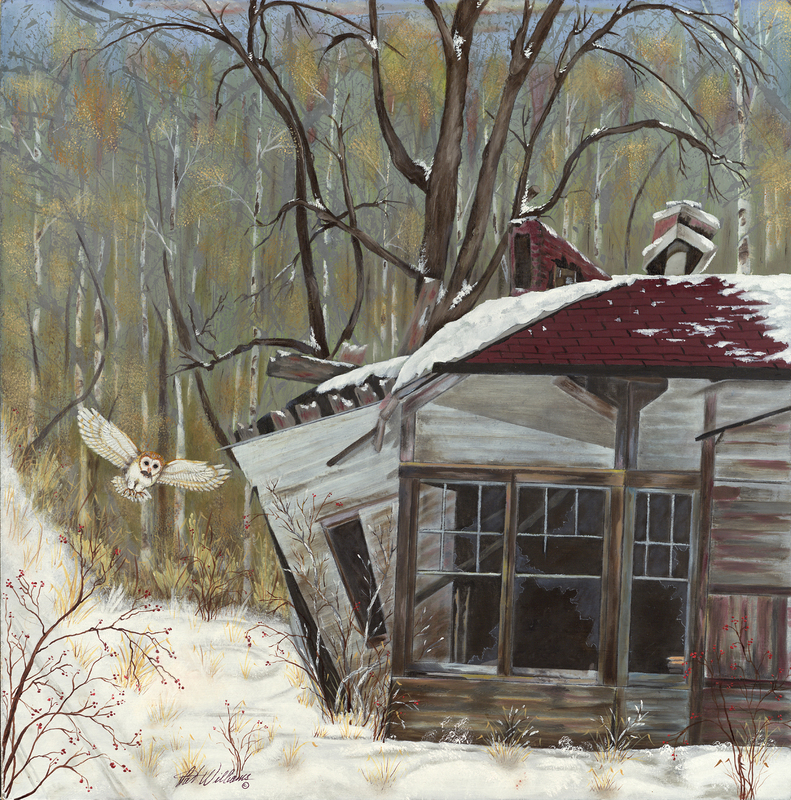 Her attention to detail in her paintings is represented in each piece that she creates. Nest Builders on Eagle Flowage inspiration came while fishing on Gun Lake in Canada. 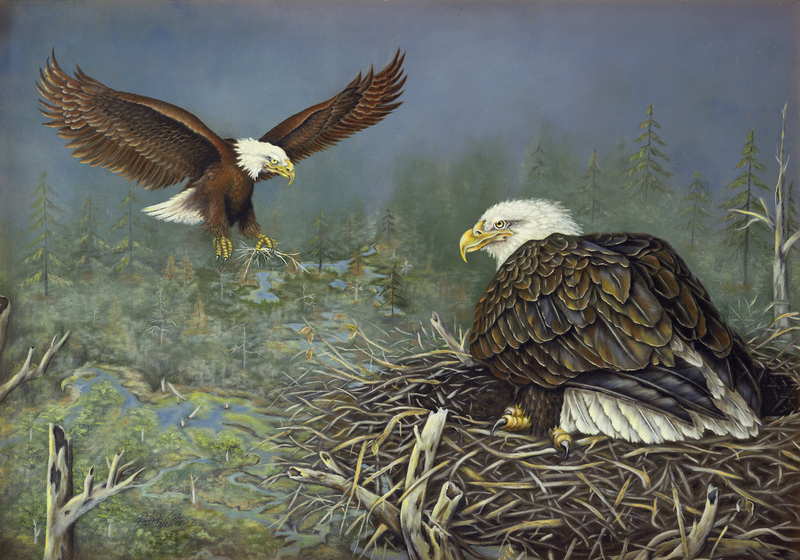 “I can only imagine the view the Eagles have from atop their big nest.” Can you find the 3rd Eagle in the painting? Pat is an accomplished fine artist in many mediums; oil, acrylic, pencil, wood carvings, & clay sculpture. Studio Hours are available by appointment only.